MPA Creative manages the PR around Honda UK’s motor sport activation, focusing heavily on the British Touring Car Championship (BTCC) and unique standalone opportunities. A former client of MPA Fingal, Honda UK re-joined the MPA Creative portfolio at the beginning of 2014. 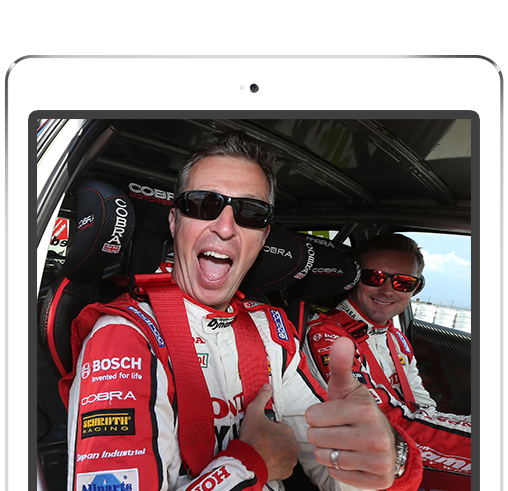 Working closely with Honda UK’s Communications team, we provide specialist motor sport PR support, with a particular focus on the manufacturer’s ongoing participation in the British Touring Car Championship (BTCC). MPA Creative strongly promotes Honda’s presence as a major competitor in the high-profile BTCC, producing dedicated press releases, liaising regularly with team personnel and drivers and hosting key motoring, motor sport, lifestyle and regional media at eachrace meeting. MPA has been instrumental in ensuring Honda maximises promotional publicity for the race-ready BTCC variants of its latest models, including 2014’s Honda Civic Tourer and the new generation Honda Civic Type -R (FK8) in 2018. Our team also works on Honda’s extra-curricular BTCC activities, orchestrating photoshoots and distributing exciting and original content to various media channels. Examples include the hugely popular Honda Yuasa Racing caravan – which gained column inches and filled photo spreads in a diverse range of publications – and the Silverstone Grid Boys appearance. In addition to PR services, MPA Creative manages hospitality fulfillment for Honda’s BTCC programme. This includes sale and expedition of all hospitality tickets, guest programme services and on-event front-of-house management and supervision of the hospitality area. 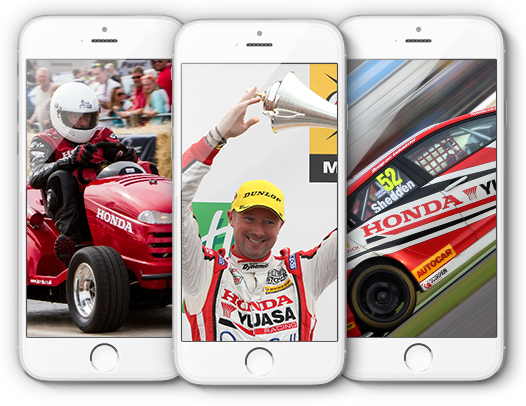 As well as the BTCC programme, 2014 saw MPA Creative announce and support Honda’s official partnership of CarFest and leverage our skills and contacts to maximise coverage for the manufacturer pre, on and post-event. As a way of highlighting the first-class handling characteristics and outstanding performance of the new-for-2015 Civic Type R – Honda’s ‘race car for the road’ – not to mention its synergies with its BTCC circuit sibling, MPA Creative invited selected high-profile regional media to Snetterton ahead of the race meeting. There, BBC Look East, BBC Radio Norfolk and Free Car magazine all experienced a high-speed passenger lap alongside then championship leader and eventual champion Gordon Shedden, in a Civic Type R that was so new it was practically hot off the production line! Unsurprisingly, ‘Flash’ wowed them all with the phenomenal prowess of the Civic Type R, which received rave reviews that doubled up as timely previews to the on-track action. When an opportunity was spotted to do something a little ‘different’ regarding Honda’s entry for its Civic Tourer model in the BTCC, MPA Creative supported a fun and light-hearted campaign focused around the Honda Yuasa Racing caravan to show off the car’s practical capabilities. Working closely with caravan manufacturer Bailey, we sourced a caravan for the project and organised a private photoshoot at Silverstone with a Civic Tourer replica racecar and BTCC drivers Matt Neal and Gordon Shedden, following which several cryptic ‘sneak preview’ shots were released via Honda’s social media channels. The caravan was officially launched on race day at Snetterton in mid-summer, with MPA Creative subsequently arranging loans to various lifestyle and specialist publications, including an appearance at CarFest South. This achieved widespread coverage across a diverse range of media, with leading website MSN including it in a feature entitled ‘World’s Coolest Caravans’.